Raft’s reclaimed teak furniture is so gorgeous it seemed a shame to keep it just inside! 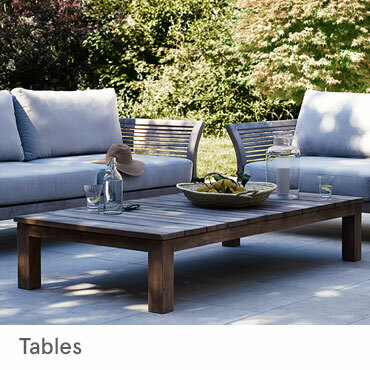 We offer garden tables, benches and chairs in a medley of shapes and sizes to suit smaller spaces or grand entertaining areas. The British weather may not always be reliable, but you’ll know that our furniture can be relied on for years to come.